It’s late. I’m hungry. I want a Little Something. 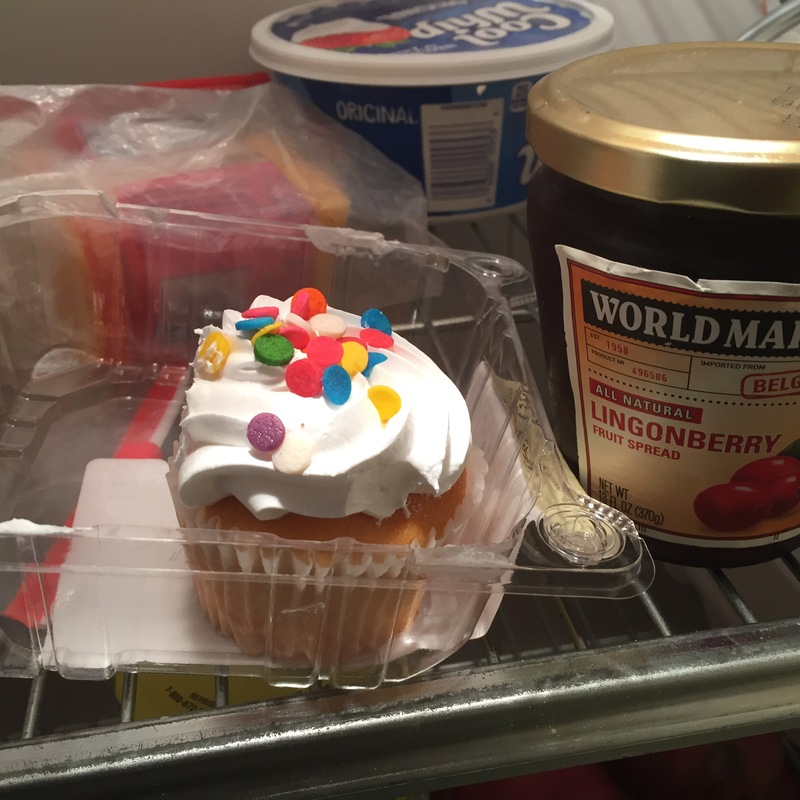 And there’s a cupcake in the fridge. Except it’s not a cupcake. It’s a still life subject. Mo paints cupcakes. I suspect it’s because when you paint fruit, all you have when you finish is fruit. She’s been painting versions of this one for the past day. She made it clear before she went to bed that she’s not done. Don’t eat it, she said. I’m not sure what she meant by that. Some sort of lofty artist statement, I suppose. i’m in the living room, and it’s calling me. What to do? I din’t want to violate Mo’s trust, but I DO want a cupcake. And then the answer hits me. I replace it with one of the paintings. Maybe she won’t notice the cupcake has lost a dimension or two. Hopefully it will buy me enough time to get safely across the state line. 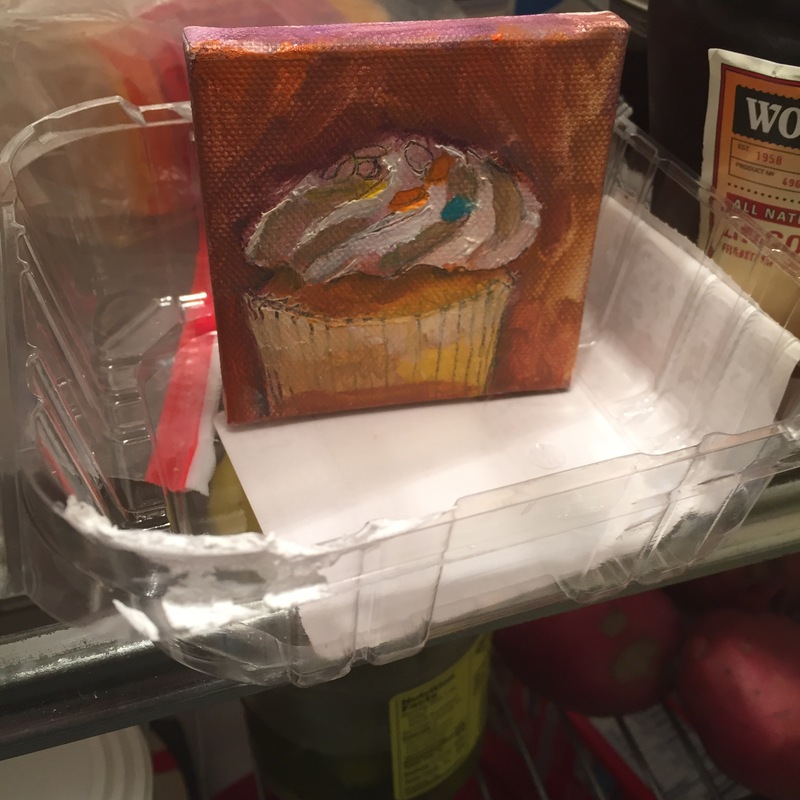 This entry was posted in margarine and tagged art, life, marriage, oompa loompas. Bookmark the permalink. I can’t tell if you’re incredibly brave or starving.